Sporting equipment and accessories have undergone quite a transformation since the days of the Ancient Olympians. Thankfully, times have changed. These days, our knowledge of the human body and the factors contributing to peak athletic performance have allowed us to develop effective dietary aids which can help us get the best out of our bodies, optimizing our performance with scientifically and medically proven ingredients. In this article we’re going to investigate the best electrolyte powder and best electrolyte tablets currently on the market with a view to finding the overall best electrolyte supplement to power our performance and accelerate our recovery. There was a time when water and calories were considered sufficient fodder for the athlete. To a certain extent, this remains true. Fluid and fuel are a necessary part of the dietary regime of any sportsperson. Electrolyte supplements, however, can help us take our performance to the next level, optimizing our physical capacities with the aid of key minerals and ionic components. In addition to reducing the risk of cramp and premature burnout, electrolytes are not entirely dissimilar to the motor oil you use in your car. To keep the various parts – muscular, cardiac, nervous and digestive – running at optimal levels, you have to supply them with the right dosage of the right stuff. Too much or too little can hamper performance, not to mention present a potential health hazard. Electrolytes form electrically-charged particles called ‘ions’ in body fluids, which in turn carry the energy required for many functions, such as muscle contractions, to where they are needed. Without a sufficient supply of these properties, our bodies simply cannot function at peak levels. During exercise we lose electrolytes through sweat, resulting in muscular fatigue, reduced mental focus and sometimes cramp. 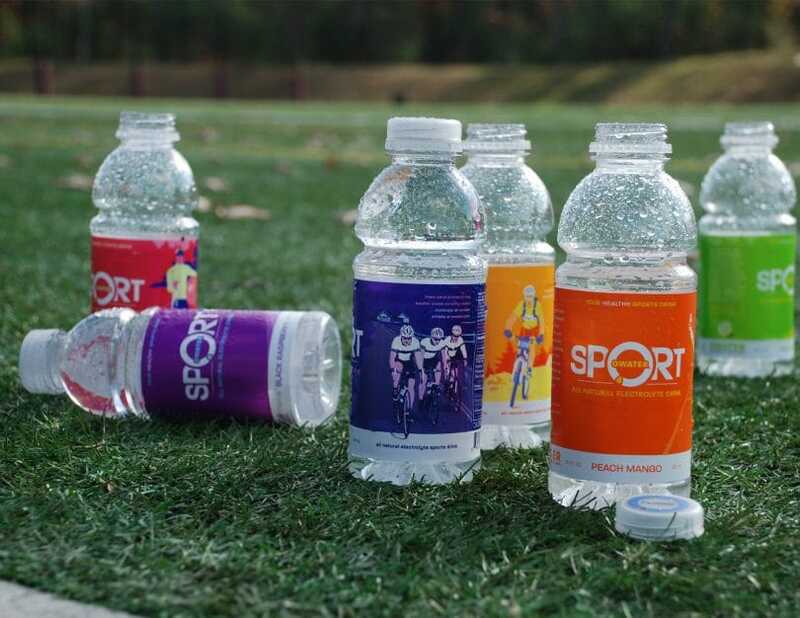 While attempting to replace all of these electrolytes during exercise is not recommended by health specialists, ensuring that our reserves are kept at reasonable levels can not only enhance our performance, but also shorten recovery and down-time between exercise sessions. Let’s start with a look at the features you might wish to consider when buying. Before our electrolyte supplement can reach the muscles and nervous system, it must first pass muster with our taste-buds. While a not-so-tasty supplement might not have us revert to good old water or fruit juices, with a market as saturated as this, it makes sense to choose a product that isn’t going to make us think twice before reaching for the bottle. High sodium content can make many electrolyte drinks taste very salty, not to mention leave the user feeling parched. At the other end of the scale, products containing too many artificial sweeteners or natural alternatives such as stevia can prove to be just too sweet for many palates. Artificial coloring, imitation flavoring and preservatives, moreover, can result in a nasty chemical aftertaste. Potassium – helps maintain proper heart function and fluid balance. Also aids muscle contraction and regulates blood pressure. Phosphorous – while phosphates can interfere with the body’s ability to absorb magnesium, calcium and iron, a certain amount is required to metabolize energy resources. Sodium – sodium balance is necessary for proper muscle function. While non-athletes only require 500mg of sodium per day, this number can rise to 1,500mg for athletes. Without adequate sodium, the athlete runs the risk of hyponatremia, a condition that occurs when blood sodium levels are abnormally low. The symptoms of mild hyponatremia are nausea, muscle cramps, disorientation and confusion, while extreme cases may result in seizures, coma or even death. A period of intense exercise is no time to be shorting yourself on sodium. Magnesium – like phosphorous, magnesium plays a crucial role in the body’s energy metabolism, cardiac function, and also helps to absorb Vitamin B, which is important in energy production. Magnesium deficiency in athletes can seriously impair performance, leading to muscle inflammation, fatigue and cramps, especially in extreme heat or endurance events. Others: look out for caffeine and taurine content, as well as any potential allergy triggers. While most electrolyte products are gluten free and vegan friendly, it’s always best to check. The amount of carbohydrates you want to have in your electrolyte supplement depends largely on the type of exercise you intend on doing and your personal fueling strategy. If your exercise is likely to last for more than an hour of sustained effort, then a supplement containing a higher carb content might suit you best. In addition to negating the need for refueling with snacks or separate energy drinks while on the move, the carbs included in your supplement might simplify pre-workout calorie intake by offering an easily-digestible and quickly absorbed energy resource. If you already have a carb-heavy diet, however, additional carbs from your electrolyte supplement may not be necessary. In this case, a low or zero-carb option is preferable, just make sure you’ve taken on enough carbs to see you through your workout. Convenience depends a lot on your personal fueling strategy and also the length of your workout. If your exercise is likely to take you away from a reliable water source for a long period of time, or if weight and carry-load are an issue, the format in which your electrolyte supplement comes will require some consideration. Supplements containing carbs might preclude the need to carry extra snacks, thereby providing a kind of two-for-one value, while soluble pills may be preferable to tub-packaged powders or standard pills, which can sometimes disintegrate in humid conditions if taken along with you. Given their minimal size, non-soluble pre-workout electrolyte pills or tablets might appear to provide the optimal solution to the convenience question. However, gels, soluble tablets and powders all provide quicker absorption and delivery to the muscles and require less time to take effect. It’s also worth noting that a high pre-workout intake of magnesium, sodium or phosphates can result in tummy problems and queasiness. Now we know what to look for, it’s time to analyze eight of the best and most popular electrolyte supplements currently on the market. Cost: $16.99-$21.99. 30 servings (30 x 10g sachet). Ingredients (per serving): potassium (100mg), sodium (220mg), magnesium (10mg). Also contains Vitamin B12, B2, B3, B6, and 72 Trace Minerals, cane sugar, dextrose, acacia gum, citric acid, magnesium citrate, silicon dioxide. No artificial coloring or flavoring. No GMO’s. Vegan and gluten free. Carb Content: 7g per 10g serving (5g sugars). 30 calories per serving. Description: Gnarly Hydrate Electrolyte Powder offers a convenient, portable, tasty electrolyte which aids both endurance and recovery time. The small, 10-gram sachets can be easily stored in pockets and preclude the need for figuring out your own storage method for powders, as is the case with powders sold in tubs. Offering 7 grams of carbs per 10 gram serving, this powder could feasibly double-up as an energy source, meaning you don’t have to carry additional snacks. This, of course, will depend on how far you plan on going and the amount of carbs consumed pre-workout. While a touch light on magnesium and not containing phosphorus, Gnarly Electrolyte powder is high in both sodium and potassium content. The inclusion of multiple vitamins – B12, B2, B3, B6 – is an added bonus, with B2 and B6 in particular contributing to muscle functioning. Reviewed favorably by most users, with only a few not entirely enamored with the taste. A solid, convenient option if you don’t mind the low magnesium content and desire a dash of carbs. Ingredients (per serving): Potassium (400mg), magnesium (100mg), calcium (200mg), phosphorus (89mg), sodium (100mg), vitamin C (60mg), natural flavors, stevia extract, citric acid, malic acid, chloride, beet powder, silicon dioxide, zinc, copper. Stevia sweetened. Vegan. Free of dairy, gluten, soy and artificial flavors and colors. Description: The Vega Sport Electrolyte Hydrator’s high dosages of potassium, magnesium, calcium and phosphorous means it ticks all the boxes of essential electrolytes. Most reviewers comment positively on the both the taste and the product’s effectiveness, with some noting increased endurance, reduced recovery time and a noticeable difference in energy levels during their workout. As a tub powder, the biggest drawback of the Vega Sport Electrolyte Hydrator lies in its packaging. While adequately convenient if you are simply adding the powder to a water bottle to take with you to the gym, for example, if you plan on venturing further, you’ll need to find some means of storing the powder. As this is a zero-carb option, you’ll also have to think about refueling with snacks or other energy drinks. While the taste of this product was approved of by most reviewers, the stevia sweetening might not appeal to everyone. Related: Vega Sport’s Sugar-Free Energizer is another low-calorie, favorably-reviewed electrolyte supplement containing each of the minerals required for effective hydration. Intended for pre-workout consumption, this product does everything the Hydrator does without needing to be carried out on the trail, road or mountainside with you. Ingredients (per serving): sodium bicarbonate (320mg), potassium bicarbonate (55mg), xylitol, natural flavors, corn starch, citric acid, L-Leucine, stevia extract, safflower oil, fruit and vegetable juice, cane sugar. Carb Content: 3g per 15g serving (10 calories per serving). Description: Packaged in 8 lightweight tubes, GU Hydration Electrolyte Drink Tablets present a portable electrolyte supplement option that is very easy to use on-the-go and effective in providing a quick-hit wherever you may get to. If carrying the 6-inch tube around with you does not appeal, individual tablets can be easily wrapped in aluminum foil and stored in a pocket. There are, however, several downsides to these tablets. In addition to providing a very high dose of sodium (320mg), the GU tablets contain neither phosphorous nor magnesium, two of the most desirable minerals in any electrolyte supplement. Furthermore, the combination of both cane sugar and stevia leaf extract could be off-putting in terms of taste, with many reviewers noting that the tablets were a tad on the sweet side. Another potential drawback is the inclusion of corn starch, a component which contains potentially carcinogenic properties and may lead to weight gain if consumed in excess. Ingredients (per serving): magnesium (40mg), sodium (125mg), zinc (2mg), chloride (390 mg), potassium (130 mg), sulfate (20 mg). No sweeteners, artificial colors, flavors or preservatives. Non-GMO, vegan, vegetarian, and gluten free. Carb Content: Zero Calories. Zero sugars. Description: LyteShow Electrolyte Concentrate is a serious, no-frills inclusion to our list of electrolyte supplements. Containing adequate and balanced measures of each of the essential electrolyte minerals in a liquid concentrate, it is an across-the-board high performer offering rapid absorption and an instant-hit of everything you need from an electrolyte supplement. The LyteShow concentrate goes easy on the sodium and puts a greater emphasis on magnesium, a balance which the manufacturers believe better accommodates the requirement of the average American (sodium is readily available in many ordinary foodstuffs). Containing no additives, sweeteners, or calories, this product is ideal for those conscious of their dietary intake and looking for a simple, effective solution to hydration during exercise. The potential drawbacks are portability and taste. Contained in a 4 oz bottle, it’s unlikely that you’ll want to take it out on a long run or cycle. Carb Content: 20g per serving (14 sugars). 90 calories per serving. Description: Vega Sport Recovery Acceleratoris a post-workout supplement designed to speed up muscle and soft tissue repair, thus minimizing down-time between exercise or workout sessions. Full of antioxidants provided by turmeric, American ginseng and Peruvian Maca, the Vega Sport Accelerator takes your recovery seriously and provides a total of 23 recovery-enhancing ingredients targeting soft tissue damage, depleted energy reserves and the immune system. The high glucosamine content is aimed at improving general joint health, while the Devil’s Claw dosage can help to accelerate the post-stress renewal process and reduce inflammation. Online reviewers rated this product highly, with the only drawbacks being the time it takes to dissolve in water and a degree of residual grittiness. All in all, this powder is an effective post-workout solution packed with a high dosage of essential electrolytes and additional nutritional components. Ingredients (per serving): calcium (60mg), magnesium (100mg), zinc (3mg), chloride (15mg), sodium (90mg), potassium (200mg), boron (175mcg), vitamin C (1,200mg), vitamin B1 (450mg), vitamin B3 (5mg), vitamin B6 (10mg), folic acid (20 mcg), vitamin B12 (25mcg), pantothenic acid (3mg), organic cane juice, citric acid, acacia powder, malic acid, stevia extract, silica. Non-GMO. Certified vegan. Gluten free. No caffeine, artificial flavors or artificial stimulants. Carb Content: 4g per 5g serving, 15 calories. Description: Trace Minerals Research ESPP18 is a convenient, portable electrolyte powder which contains the full range of desirable electrolytes (excepting magnesium) in well-balanced dosages, and also a selection of vitamins to boot. The small sachets can be mixed with 2-3 oz of water and are easy to carry during long-distance exercise. The carbohydrate content, though minimal, could be favored by those undertaking longer periods of exercise without additional snacks, but the 4 gram carb total might prove to be a touch on the lean side if you plan on being away for more than a few hours. While the sachets are certainly portable and have been reviewed positively with regard to taste and effectiveness, other contents, namely crystalline fructose (which may be carcinogenic and lead to weight gain), were not so highly appreciated. This powder is sweetened by relatively high dosages of both cane sugar and stevia leaf extract, which means the taste might be overly sweet for some. On the whole, this is another convenient and well-reviewed product, but the fine-print and ingredient list might have you think twice before buying. Ingredients (per serving): calcium (37mg), phosphorus (37mg), magnesium (15mg),sodium (150mg), potassium (45mg), taurine (1g), coconut water powder (500mg). Carb Content: 2g, 10 calories per serving (4.7g scoop). Description: The elaborately-named Kaged Muscle Hydra-Charge Water Enhancer is a powder formula containing five essential electrolytes sourced from coconut water. On first impressions, this powder appears to have it all, containing each of the ‘Big Five’ in the electrolyte pantheon – sodium, calcium, phosphorous, magnesium and potassium. However, a closer inspection reveals that the dosage of each is rather paltry when set against other electrolyte supplements. At 15mg, 37mg and 37mg respectively, the measures of magnesium, phosphorous and calcium are particularly low compared to other market leaders. Nevertheless, this product received a general approval of taste, with users also citing reduced fatigue, cramping and improved recovery time and endurance since they started using the powder. The addition of 1 gram of taurine was also welcomed by some reviewers and could save energy drink enthusiasts lugging cans around with them on their workout. As with any electrolyte product sold in a tub, the most significant problem with this powder is portability. A great-tasting and comprehensive all-rounder if you can work around the problem of transportation. Cost: $25.00-$28.00 (300 tablets, 50 servings x 6 tablets). Ingredients (per serving): Vitamin B6 (2mg), Iron (5mg), magnesium (290mg), chloride (950mg), sodium (270mg), potassium (590mg), sulfate (125mg), kelp (100mg), taurine (100mg), alfalfa (50mg), boron (2mg). Carb Content: 2g, 15 calories per serving. Description: Unlike its sister-product the ESPP18, Trace Minerals Research Energy Formula contains no offensive or potentially harmful ingredients. What’s more, it offers an agreeable balance of ionic materials and several additional minerals to boost performance during your workout and reduce post-workout recovery time. High in magnesium, sodium and potassium, the only notable absence is phosphorous. The addition of 100 mg of taurine increases users’ stamina without risking that excessively wired feeling that can result from consuming products with a higher taurine content. One serving is made up of six pills, so if the dosages strike you as being too stiff you can adjust your consumption to suit your needs. Although the pill form of this supplement may seem to be a handy solution to transportation problems, many reviewers found its biggest shortcoming to be the size, shape and texture of the pill itself. Many claimed the pills are too big to swallow and that the rough texture made them grate against the throat on the way down. Those who had taken the pills with them whilst exercising also noted that the pills tended to swell and crumble quickly if exposed to any moisture. Another possible snag is the magnesium content, which is comparatively high and left a few users with stomach discomfort. Which of these will work best for us depends largely on our fueling strategy, existing dietary habits, workout length, and whether our priorities focus on taste, convenience, price or specific mineral content. While each of these top-performers offers something a little bit different, all share the desired quality of helping to keep our bodies effectively hydrated, boosting our performance and accelerating our recovery. Did we miss anything out? Let us know in the comments section below!